Social Media is becoming an increasingly important—and controversial—investigative source for law enforcement. This project provides an overview of the current state of digital forensic investigation of Facebook and other social media networks and the state of the law, touches on hacktivism, and discusses the implications for privacy and other controversial areas. The authors also point to future trends. The Forensic Studies for Criminal Justice series consists of short-format content on new developments, unique perspectives, or how-to information on areas in forensic science—all specifically designed to meet the needs of the criminal justice community. Instructors wishing to provide their students with more in-depth coverage on certain forensic areas can add these digestible, inexpensive works to their syllabi without having to completely redesign their course, introduce overly complex material, or financially overburden their students. Law enforcement and other criminal justice professionals will find a wealth of valuable information to improve training sessions. Written by experts in the disciplines they are covering and edited by a senior scholar in criminal justice, Forensic Studies for Criminal Justice opens up the world of forensic science to the criminal justice community. 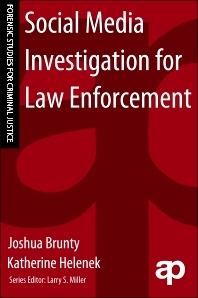 Joshua L. Brunty is Assistant Professor of Digital Forensics at Marshall University . Josh holds numerous certifications within the digital forensics discipline including: AccessData Certified Examiner (ACE), Computer Hacking Forensic Examiner (CHFI), Seized Computer Evidence Recovery Specialist (SCERS), Certified Malware Investigator, Certified Steganography Examiner, and is certified by the National Security Agency in Information Assessment Methodology (NSA-IAM). 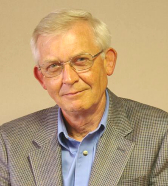 He is a member of the Institute of Computer Forensics Professionals (ICFP), the Mid-Atlantic Association of the High Technology Crime Investigation Association (HTCIA), the Digital-Multimedia Sciences section of the American Academy of Forensic Sciences (AAFS), the West Virginia Cyber Crimes Task Force, and the West Virginia Chapter of FBI INFRAGARD.